Singing in the shower now for real !! For reasons that are obvious, I am not writing where you can buy this or what its name is, but all I can say is that with each radio you buy and stick on your shower wall, the woman is NOT INCLUDED!! The shower is a very good place to sing, cause due to the high reverbaration time (RT60) everyones voice sounds acceptable. Even mine! and now some suggestions for bubble songs! The shower is not the right place to sing, for me! I better prefer “singing in the rain” , it's for free, too! It is true, shower gel, shampoo, soap and water do affect our singing abilities, BUT when we shower we are happier since we believe we are in our mothers womb, thus we sing. When we are in the bath, we do other things, Psychologists say. 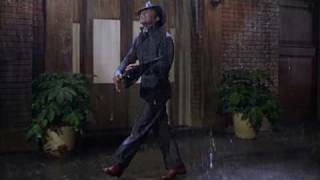 It should be a natural thing to you, although singing in the rain is one of the best, if not the best from that time period. Or for any time period. Water helps with the bad vibes and high pitches, but it still doesn't do miracles....as such would be needed for your voice to sound acceptable!!! My Voice sounds great anyway! I know you do Mike. I remember from our last shower together!! I hope no one takes that seriously!